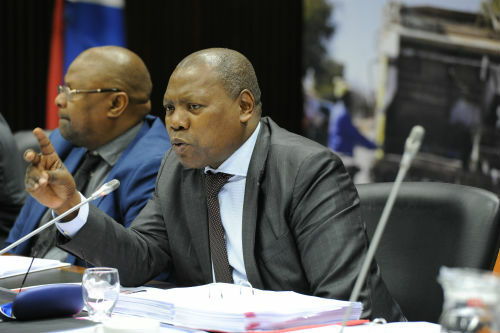 The Minister of Cooperative Governance and Traditional Affairs, Dr Zweli Mkhize has extended best wishes and acknowledged the fire fighters, disaster management officials and other emergency personnel who are spending sleepless nights battling fires, evacuating vulnerable people and rescuing those who are helpless and at risk amidst the raging fires in the Western Cape and Eastern Cape. Eight members of one family tragically perished in the fire in Farleigh, Knysna in the Western Cape last week. Minister Mkhize has extended his heartfelt condolences to the family at this painful loss. The Western Cape province continues to face fierce fires with the Garden Route District being the most affected. The wild fire has spread over 80 000 hectares. Veld fires have also been reported in Koukamma Local Municipality in the Eastern Cape and emergency teams are deployed in the area as well. The firefighters, emergency medical services, police, traffic officers, SANDF members, SA Social Security Agency officials and other relief and rescue workers have been deployed in the affected areas. “These are our first responders who have been on the frontline fighting fire as well as averting a humanitarian disaster ever since the fires broke out. We acknowledge their hard work and professionalism and wish them strength and success,” said Minister Mkhize.